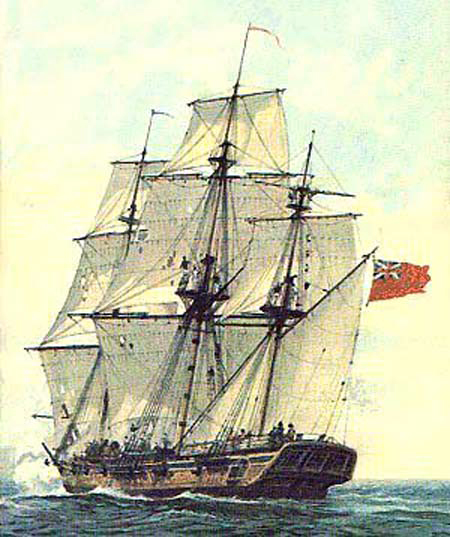 In mid May 1775, just weeks after the bloody Battle of April Nineteenth had sparked the start of the American Revolution, the perhaps first naval skirmish of the Revolution was waged… the first naval skirmishes where undertaken by independent American revolutionary parties under no direct command, serving on small fishing and often whaling vessels. There are many undetailed reports of whaleboats harassing British naval vessels throughout the summer and fall of 1775. But perhaps the first, or maybe just the best recorded, is the attack against a detachment from the small 14-gun HM sloop Falcon under Commander John Linzee of the Royal Navy. The article describes the actual skirmish between HM sloop Falcon and a band of whaleboaters from Dartmouth, MA, who dared to attack a British-commanded vessel. Tagged research, showcase. Bookmark the permalink.